Julia Louis-Dreyfus is enjoying a tropical getaway in Hawaii. The 57-year-old actress looked happy and healthy in a photo Sunday during a trip to Lanai with her husband, actor and comedian Brad Hall, following her cancer diagnosis. The picture shows Louis-Dreyfus and Hall smiling for the camera during a swim. Louis-Dreyfus joked in the caption about strategically cropping the photo. "I had to crop this photo. You're welcome. #lanai," she wrote. The Veep star shared a clip the day prior of herself dancing on the beach. "Aloha baby! #lanai," she captioned the post. Louis-Dreyfus was diagnosed with breast cancer in September. She completed chemotherapy in January and underwent surgery the next month. "Hoorah! Great doctors, great results, feeling happy and ready to rock after surgery," the star wrote on Instagram following the procedure. 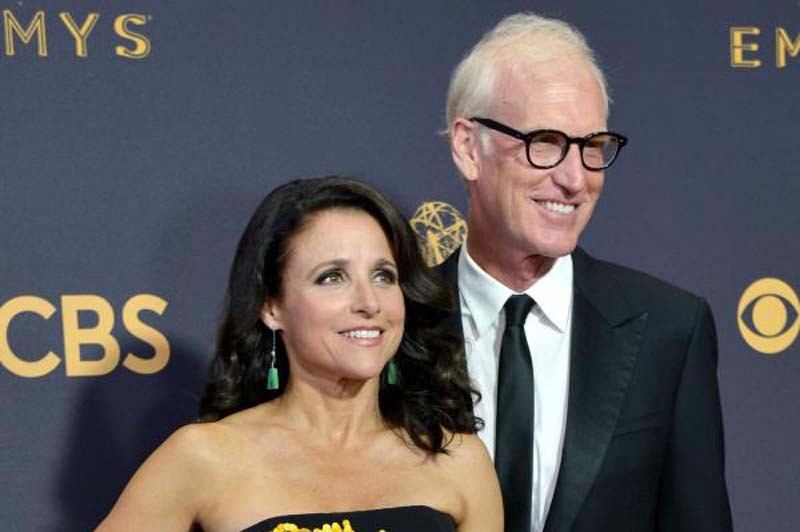 Louis-Dreyfus and Hall celebrated their 31st wedding anniversary in June. The couple are parents to two sons, 25-year-old Henry and 21-year-old Charlie.